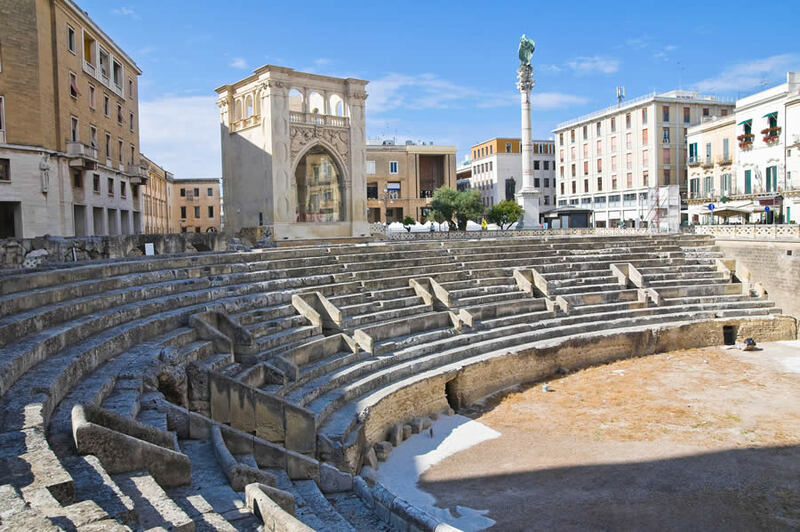 Lecce is situated in the region Apulia/Puglia and is well known for its magnificent city center and for being the main city of the Salento region. 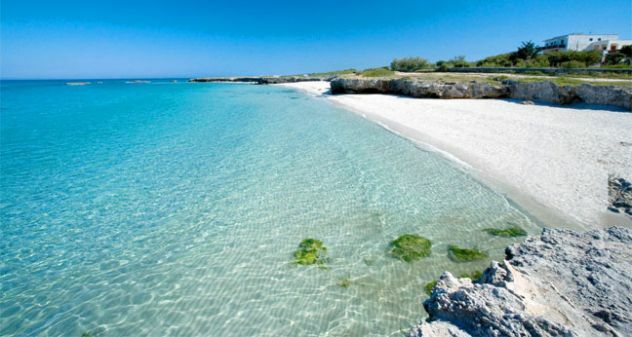 You can check here the itineraries in the Salento region: Salento: bus connections. 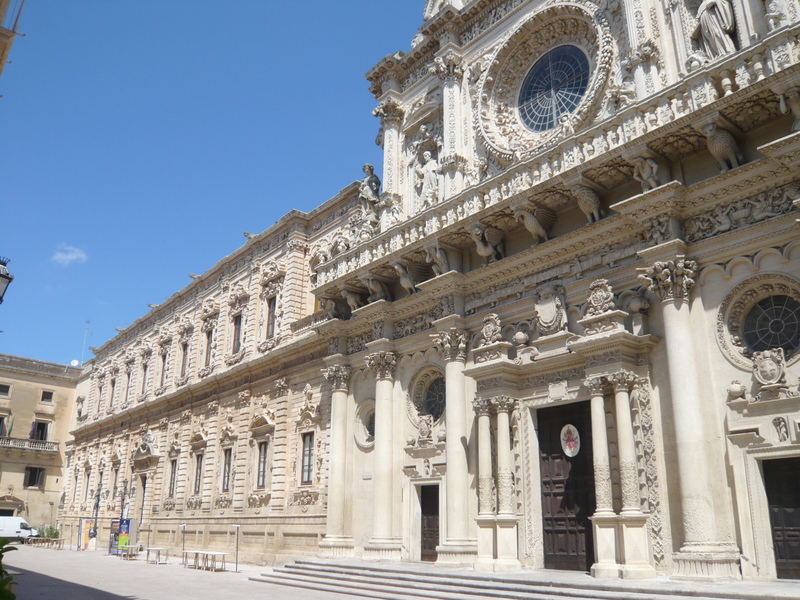 In this article, however, we are going to talk about how to reach Lecce (together with Otranto and Gallipoli) from other Italian cities. There are several ways how to get from Bari airport to Lecce. 1. The easiest way to do that is to take the bus managed by Salento In Bus, an initiative of the Lecce region to correspond to the tourist demand that is aslways high during the summer season. SAlento in Bus offers several bus lines that operate in the region of Salento and that are active from the 15th of July to the 15th of September. 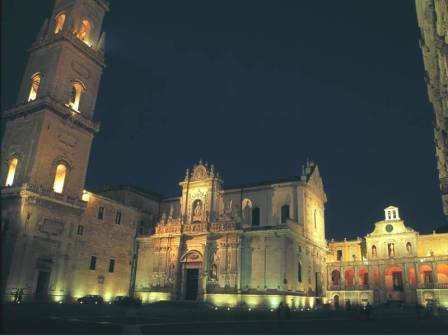 Therefore, there is a direct bus from Bari Airport that arrives in Lecce. The bus stops in Maglie, Otranto and Torre dell’Orso. The average journey time is 2 hours and 20 minutes. Tickets cost € 14,00. It is possible to buy tickets in the bus without any additional charges. Please note that the bus doesn’t operate on Sundays. 2. Also it is possible first to reach Bari central train station and there take a train to Lecce. The average journey time is one hour and a half. Trains run every 30 minutes. A ticket costs from 10,50 EUR. For more infromation: Bari airport – Bari. 2. Sita Sud offers connections between Brindisi airport and Lecce. The bus operates every day. Le corse si effettuano tutti i giorni. In Lecce the bus leaves from Largo Carmelo Bene (Ex Foro Boario). The average journey time is 40 minutes. The tickets can be bought in the bus (with the additional charges of 1,50 EUR) and in ticket offices and other ticket points of sale (you can find addresses in the timetable below). A one way ticket costs – € 6,50. * Please note that the 15th of August only bus of the line 2061 will be active. Marozzi viaggi offers connections between Florence and Lecce every day but the bus runs only once a day. One way ticket costs 61,50 EUR, two-way – 109,50 EUR. The average journey time is 13 hours. From Florence the bus leaves at 20:15 (Piazzale Montelungo (bin.16)) and arrives in Lecce at 08:55 (P.zza Carmelo Bene (foro boario)). From Lecce the bus leaves at 20:50 and arrives in Florence at 10.30.